On Dec 1st Peter started @ BBT as new IT and publisher manager. Unfortunatly for us, but so happy for him Filip will leave this function and BBT on January 1st after 18 years of trusty loyal service. Started as a driver, later Filip was for many the face behind the counter, until he moved through a small gap in Purchasing to the IT Publisher function inside BBT. Learned too much, without any doubt, Filip will start his own adventure specialised in social network media. Something he learned to play with on his BBT stool. Proud we trained and can send out to the very wide, oh so interesting, world. 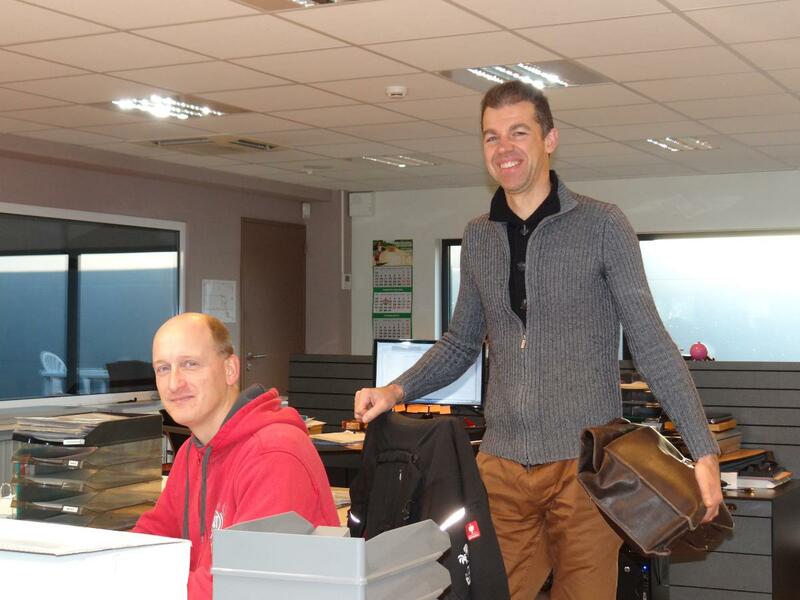 Welcome Peter, Goodbye Filip, the whole BBT team wish You both a lot of luck in your further careers…. Peter @BBT, and Filip in his new function at Culd! cy.